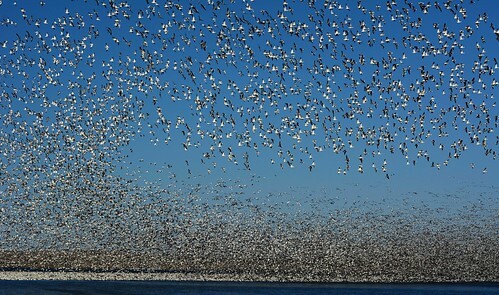 The snow good migration is well underway in central North Dakota! 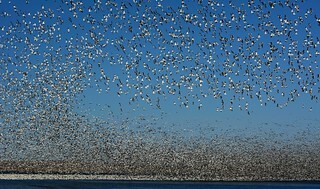 This flock, captured five miles north of Woodworth, was one mile long and several hundred yards wide. The photographer said it took him 15 photos to capture the mile-long flock, which he estimates to number well over a million birds. There is no place like America's Prairie Pothole Region!